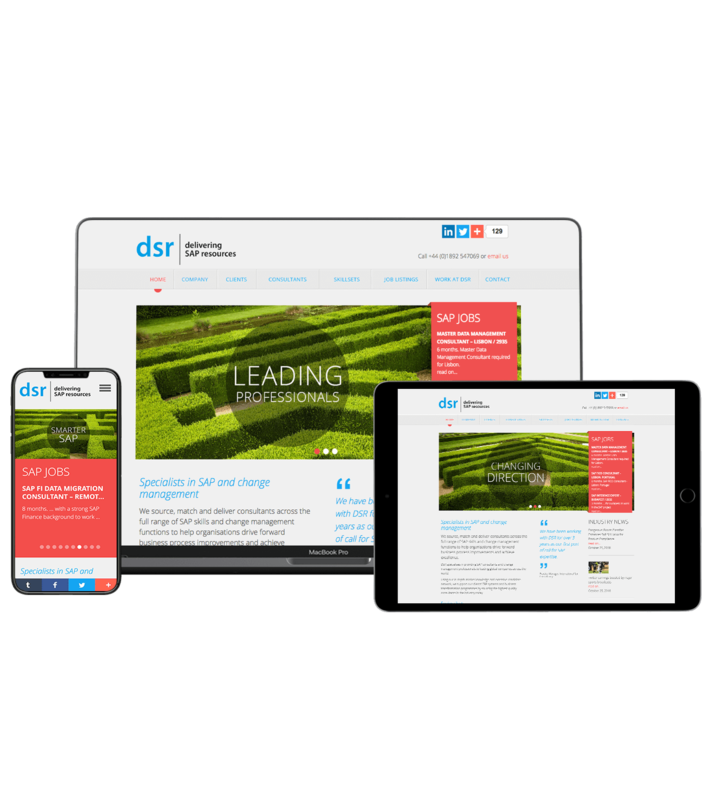 DSR Europe, based on the outskirts of Tunbridge Wells, Kent, wanted a website design to represent their offering. 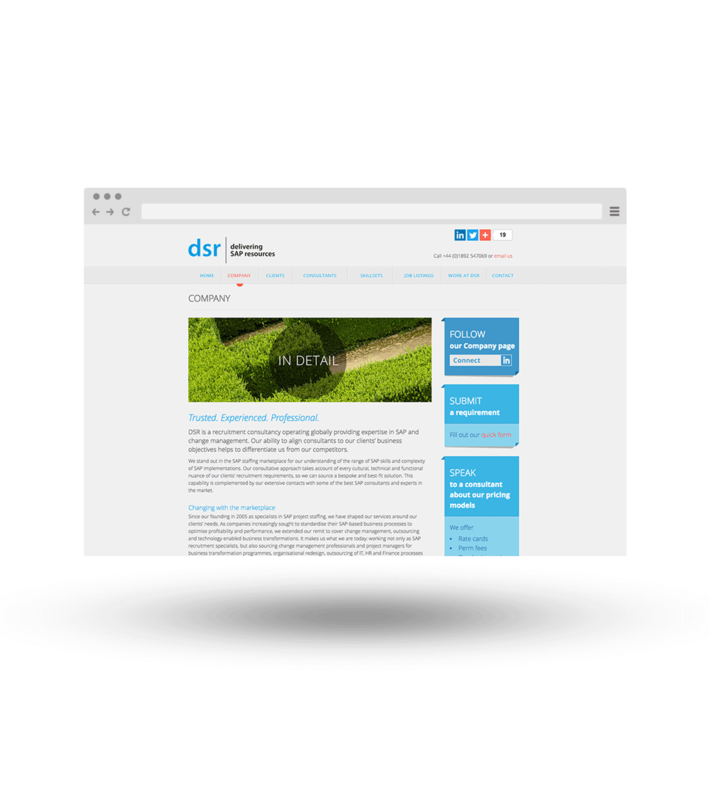 DSR match and deliver consultants with a full range of SAP skills across Europe. Guiding you through the maze to the perfect candidate. 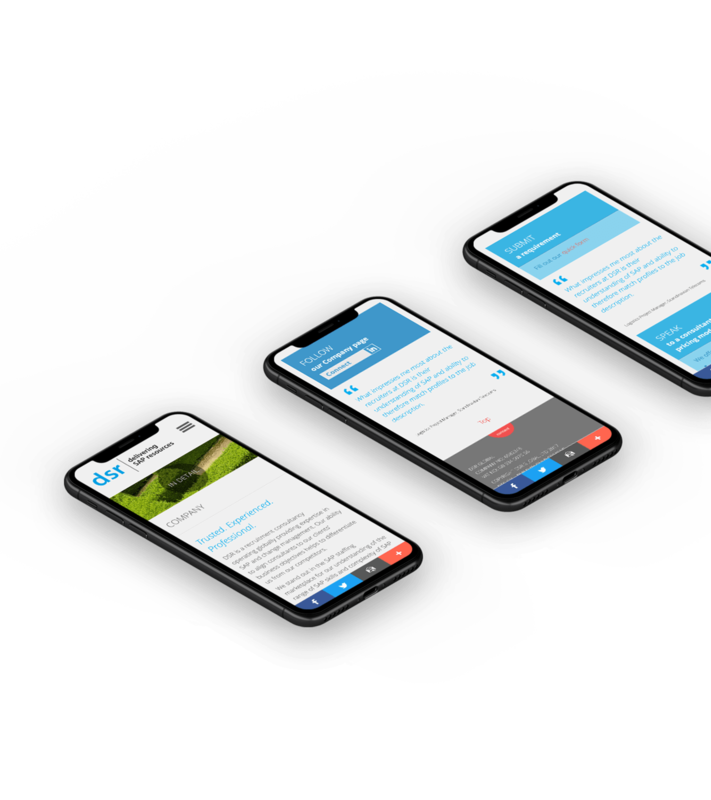 Features include the latest three jobs auto-posted to the home page and a job listing page with further information provided – on demand – for each post. Gulp also designed and developed a Guide to Europe map with capital city information for candidates travelling to new countries to work. 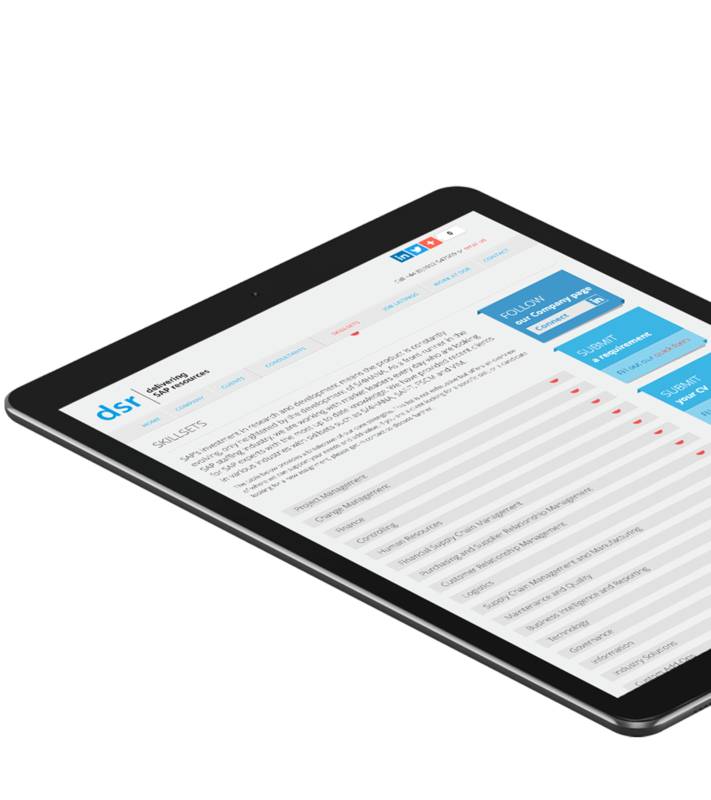 Plus the site allows users to upload and submit their CV via a simple form. As with all our sites, this is responsive and comes with a content management system (CMS) to allow changes by the client whenever required. Pages load sympathetic to the device. Simple accordion listings to condense info.